If you have any questions about the APOISE information page below please contact us. The significant superyacht APOISE is a motor yacht. This 67 metre (220 ft) luxury yacht was created by Lurssen Yachts in 2006. APOISE was formerly called (Project Marlin). Superyacht APOISE is a striking yacht that is able to accommodate as many as 14 passengers on board and has approximately 18 crew. This graceful motor yacht has been brought about from naval architects Lurssen and Espen Oeino. Zuretti Interior Design produced the interior design and styling. Luxury motor yacht APOISE that is reportedly owned by a Canadian has six decks. The owners suite, the main salon with a dining area and a round glass elevator in the lobby are on the main deck and four kings guest cabins are located on the lower deck. The bridge deck has another VIP cabin to starboard and a full beam salon and an interior and exterior dining. On her upper deck she has a bar, gym and a large Spa Pool. The yacht's general design work came from Lurssen and Espen Oeino. 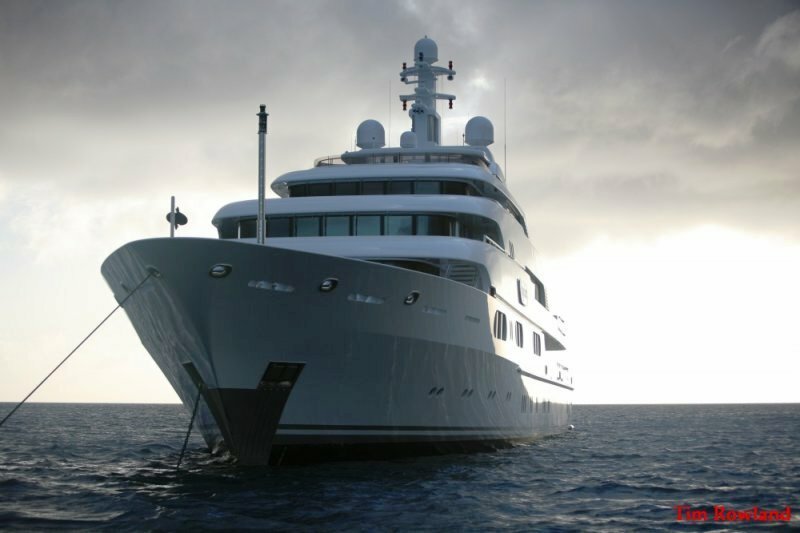 The professional naval architect firm drawings are the products of Lurssen. Motor Yacht APOISE received her stylish interior designing from the interior design firm of Zuretti Interior Design. 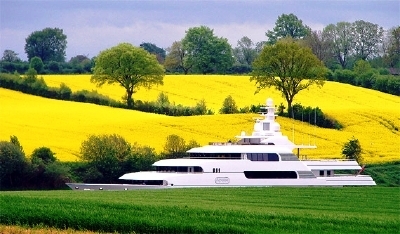 Built by Lurssen Yachts this vessel was fabricated in the recognised yachting country Germany. She was successfully launched in Bremen in 2006 before being transferred to the owner. The hull was crafted from steel. The motor yacht superstructure component is fabricated for the most part from aluminium. With a beam of 13.2 metres or 43 feet APOISE has impressive internal space. She has a reasonably deep draught of 3.5m (11.5ft). She had refit maintenance and changes carried out in 2008. She has twin powerful CATERPILLAR diesel engine(s) and can manage a swift speed of around 16 knots. The main engine of the yacht creates 2010 horse power (or apoise kilowatts). Her total HP is 4020 HP and her total Kilowatts are 3000. Connected to her Caterpillar engine(s) are twin screw propellers. This yacht’s efficacious cruising speed is 14 knots which offers a range of 5000. The lengthy luxury yacht M/Y APOISE is able to sleep as many as 14 passengers and 18 professional crew. 67 metres / 219.8 feet. Total engine power output 4020 HP /3000 KW. San Diego. United States. San Diego County. California. Around October 2009 APOISE went to San Diego, in United States. APOISE also traveled the location around San Diego County during October 2009. 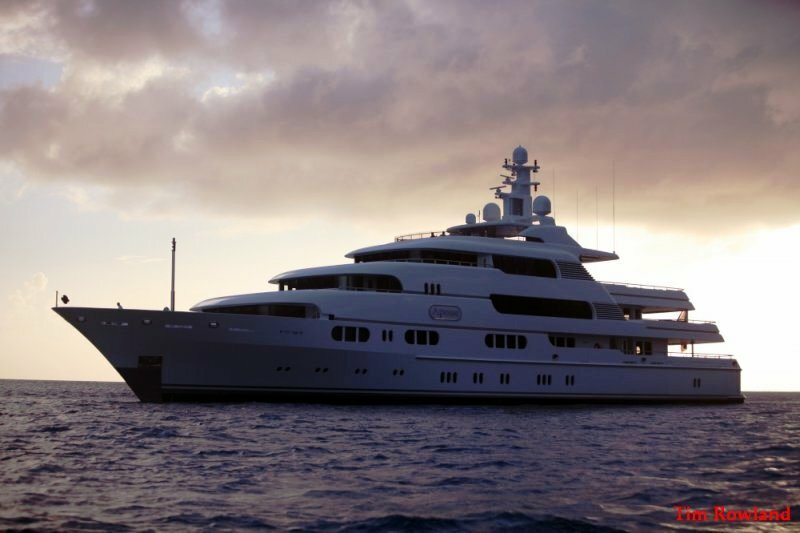 The yacht was installed with Heinen & Hopman air conditioning system. This motor yacht has a teak deck. The luxury yacht APOISE displayed on this page is merely informational and she is not necessarily available for yacht charter or for sale, nor is she represented or marketed in anyway by CharterWorld. This web page and the superyacht information contained herein is not contractual. All yacht specifications and informations are displayed in good faith but CharterWorld does not warrant or assume any legal liability or responsibility for the current accuracy, completeness, validity, or usefulness of any superyacht information and/or images displayed. All boat information is subject to change without prior notice and may not be current.